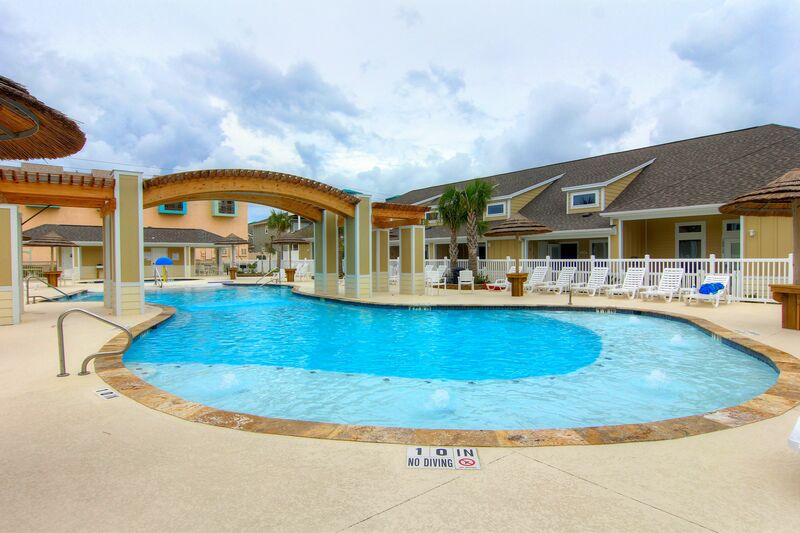 Address: 14908 Village Beach Drive Location: Corpus Christi Type: Townhouse Area: 782 Sq.Ft. The apartment was very nice. The only knock is the view out one of the few windows in the place is of the parking lot. You can't see the pool from the location we stayed in, but it was a very close walk. Again, place was clean and nice and up-to-date. The whole family had a blast. 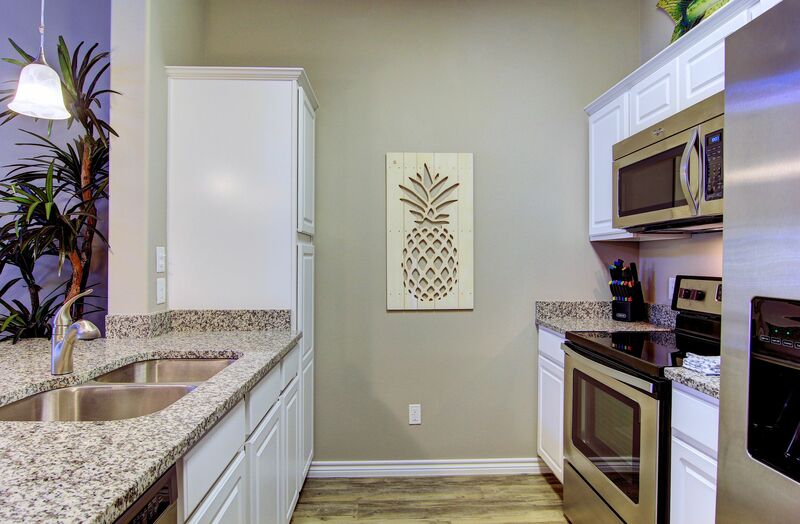 Weekend getaway to check out the beaches in north padre...great location, new complex, completely furnished condo, easy to book, checkout, etc. We thoroughly enjoyed our stay on Padre Island. Village by the Beach was a perfect spot for us. We were fortunate to have amazingly warm, winter weather. The beach is approximately a five minute walk, or a quick car ride away. It is easily accessible. We found our unit to be just as expected. It was clean, well-stocked, and very livable. The pool area is just wonderful. We spent the majority of our days making use of both the beach and the pool. We will definitely be returning! Thank you for the feedback, we look forward to having you back with us again soon. Perfect place to stay for my small family. We went down for the weekend for Sandfest and it was so nice. We were so close to whitecap beach as well. The only con I have is the pool area. I wish more areas were shaded. I have a 1 year old so we didn't spend a lot of time out in the pool because of lack of shade. the kiddie pool however was wonderful! The condo was clean and well cared for. The pool was excellent. We had an excellent time. We really enjoy this rental. My family of 4 enjoy its location and all the amenities. Pool is nice. We choose to drive south to the beach - Malaquite is the best beach we've seen in Texas. We wanted something larger than a hotel room for the three of us and this was perfect. Good location, all the room we needed and very clean! Only complaints were that after the first shower the tub didn't drain well and construction noise behind the condo was noisy a bit too early in the morning. Overall our stay was great! Thank you for notifying us about the slow draining tub. We will have maintenance check it out ASAP. The construction noise should only be temporary. Thank you for the feedback. Beautiful and clean condo. Short walk to the beach, but if you are packing anything, probably best to drive. Pool was refreshing after a long day at the beach. Washer and dryer was so nice to wash your beach towels. The only negative was we could only get one channel in the living room and no channels in the bedroom. We called when we got there, but maintenance never came. The property was good. It was different than what I expected from the pictures and online presence. Less magnificent; but still fine. There were a few things missing in the property that should have been there but they brought them. The communication with the office folks was less than strong - there was a disconnect and they were not overly friendly or flexible with service. The check out extension was hard to get (one hour) and did not get noted with the cleaning crew so they were sitting there waiting for us to exit and get our car out of the parking lot. This was after I had been told that there was no one coming that day to replace us and the parking lot for the property there was empty. Not relaxing or anticipated. And we were not leaving town for several hours that day since we were only there for a short trip to the beach for fun and sun. We had a great stay. The pool was awesome, a short walk or drive from the beach (that was fairly clean), and a clean, nice place. I would definitely recommend this place! 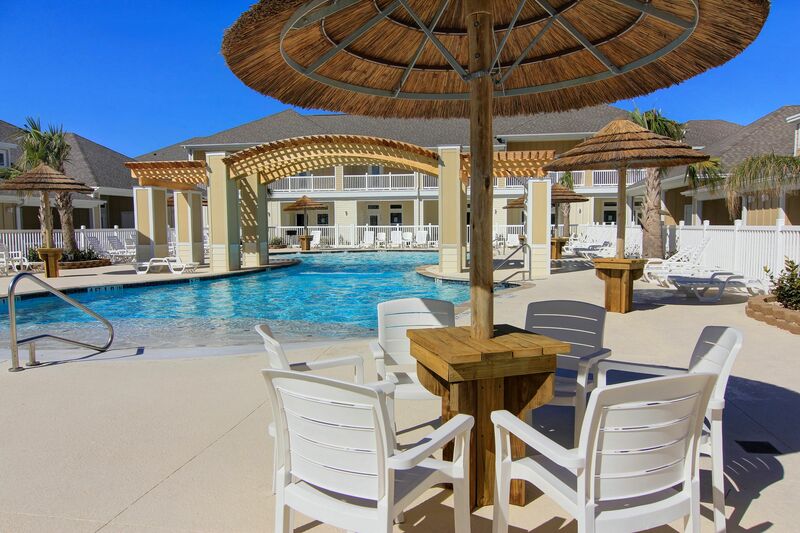 I loved everything about this rental, new, clean and fully functional; only wished I had time to enjoy the pool; weather was perfect and the beach is so close; the only thing I would change is the lighting in the bathroom as it is dimly lit. 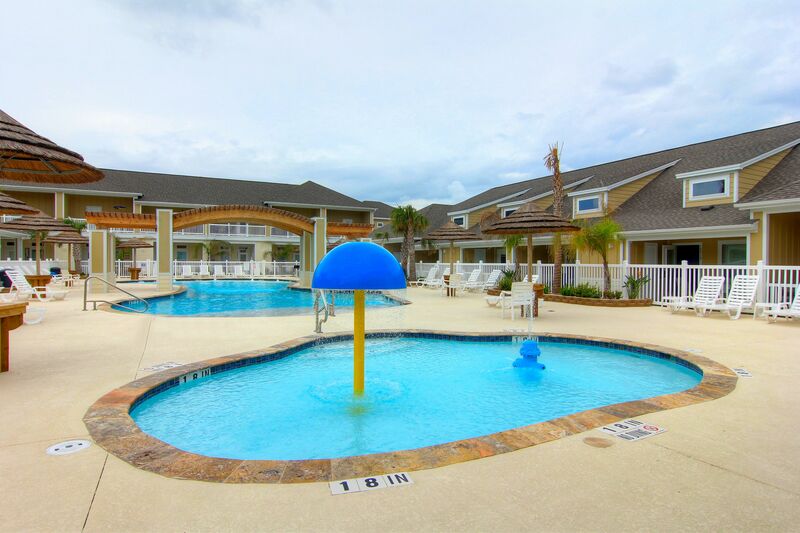 Great place, pool was conveniently located and condo was perfect size for our family of 5. Everything was great! From check-in, to keyless entry, to a nice basket of welcoming supplies, everything was there for us to have a good time. Only thing that was a downside, was the cable connection was intermittent on the TV, but who goes to the beach to watch TV. Would definitely stay here again. Loved the property. We would stay here again. Close to beach. Pool was nice. 2 chairs in living room were a little soiled but otherwise townhouse was very clean. Very quiet, never heard neighbors. We usually stay at a motel when in Corpus bu this time decided to try a vacation rental and i am more than pleased. What a beautiful little place we had. Only with this faculty had a hot tub. We loved our time away from northern winter weather! Our stay on Padre Island was wonderful. We didn't have great weather this year, but that doesn't take away from the experience as a whole. Village By the Beach is a delightful place to rest and relax. 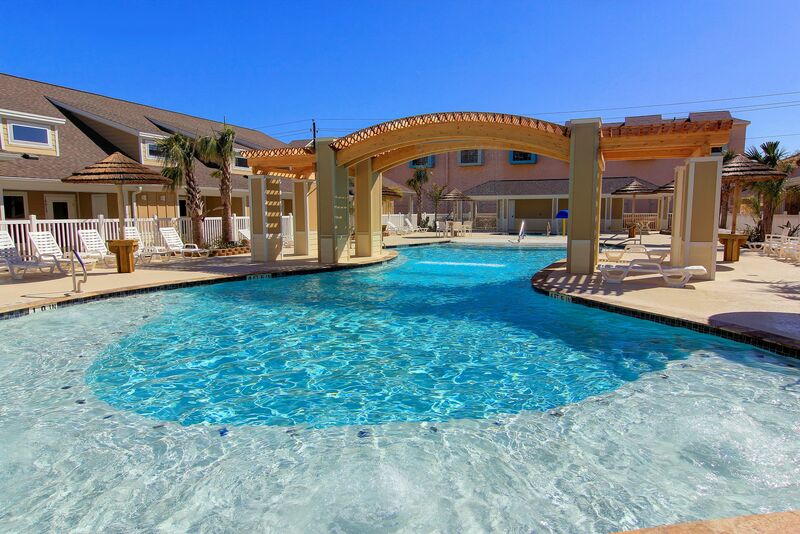 We love it on Padre Island! Our family let of 5 had ample amount of space and amenities while we stayed here. We truly enjoyed our time in the condo, pool, and Corpus Christi. I highly recommend the property. Only wish was for Hooks to hang suits and towels from. Very nice and clean and good mattresses! Very happy! This was a short vacation for my wife and me. The property met all expectations and we were very pleased. Loved the location of this condo. 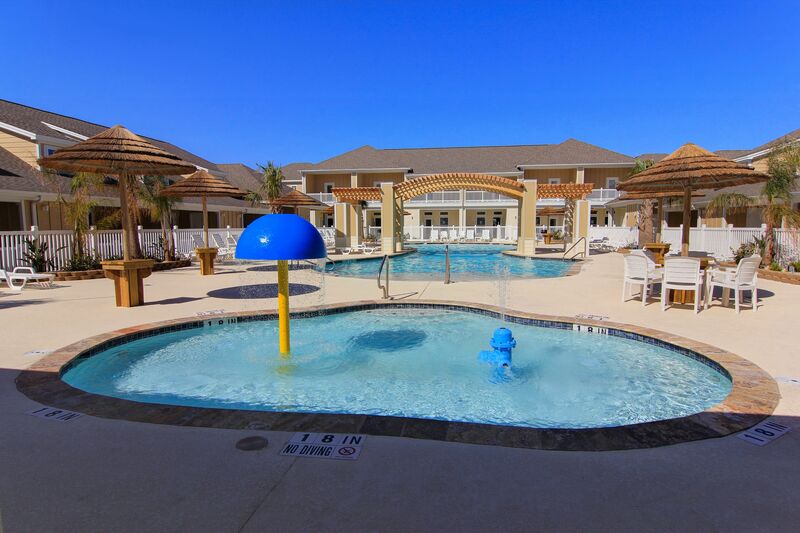 Great layout for a family and loved the 2 pools, grills and playground in this area. The rental was awesome. It was very clean and right next to the beach. The management were the kindest people ever. We didn’t spend much downtime here, mostly just slept and got ready every day. The unit was easy to access, clean, and the master bed comfortable enough. The pool was lovely with a convenient outdoor shower. You’ll want to drive to the beach, as you’ll need supplies to transport anyway. Only recommendations are to add a mat just inside the front door and replace the living room tv remote. (It was largely unresponsive and we couldn’t turn down the volume.) However, I would stay here again. We absolutely loved it here!! 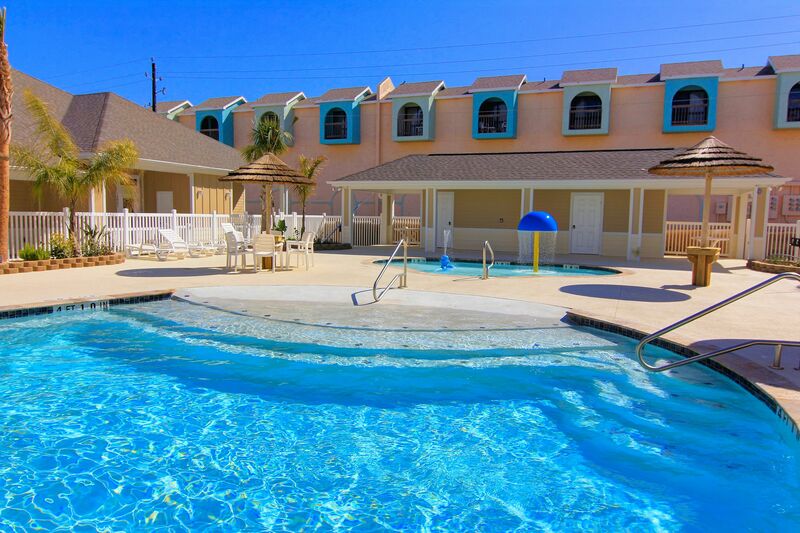 The beach is close, the pool was perfect for us and our 6 and 3 year old, rental was super clean and comfortable! We have been renting from padre escapes for 3 years now and haven't found a place we don't love!! Village By The Beach is our new favorite and will be coming back next year! Can't wai! New, clean, well managed property on the Island. Close to Packery jetty, Seawall and Whitecap beach. Great location. 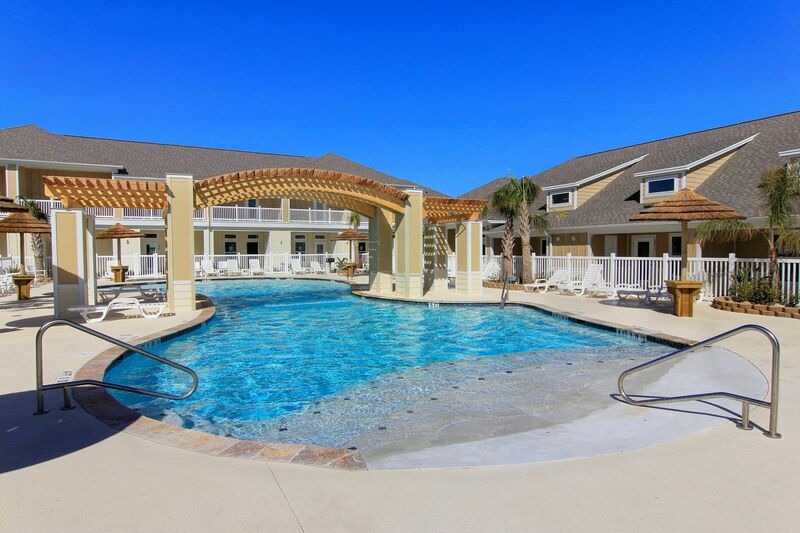 Spend your day at the beach and the afternoon in the heated pool at the complex. We'll stay again. We enjoyed our stay so much we are already planning a return trip. The condo was super clean with plenty of space for the 5 of us. Check-in/checkout was a breeze. Staff was very friendly. I especially liked the convenience of the letters entry, one less thing to keep up with. It was a short walk to the beach. The proximity for an early morning stroll or evening walk was so convenient. Also enjoyed the saltwater pool. Even though it seemed as the place was fully occupied it never felt crowded or loud. We never even heard our neighbors! Would highly recommend. The property managers stayed open for our late arrival and were very friendly and helpful. Our room was very nice and spacious. The pool area was very nice as well. I would definitely recommend this location for a peaceful, relaxing stay and good looking cation to the beach. Everything about this place was amazing!!! Unit was very nice. It was clean and comfortable. Pool was great. Property was beautiful. Only complaint is the pool area becomes a party zone around 7pm. Not very good for families with small children. We had a great stay at this rental. 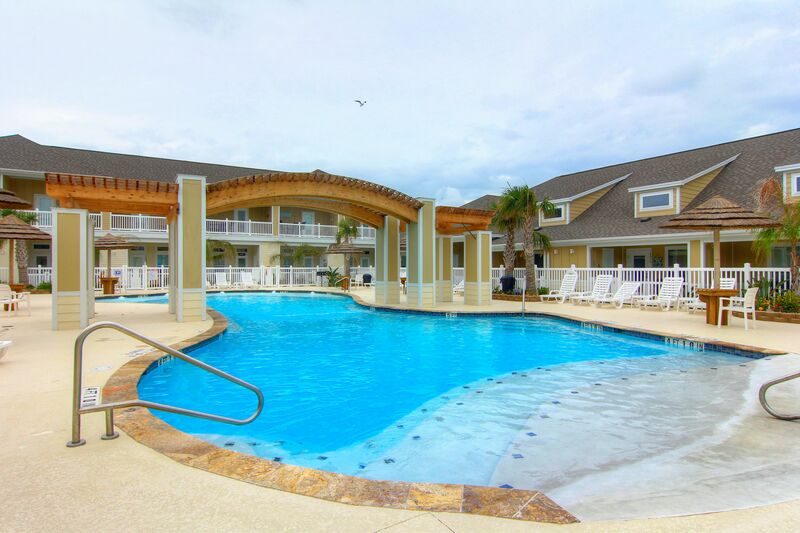 Condo is basically new that contains all that a family needs for a great stay. Beds were comfortable and condo is in a great location.